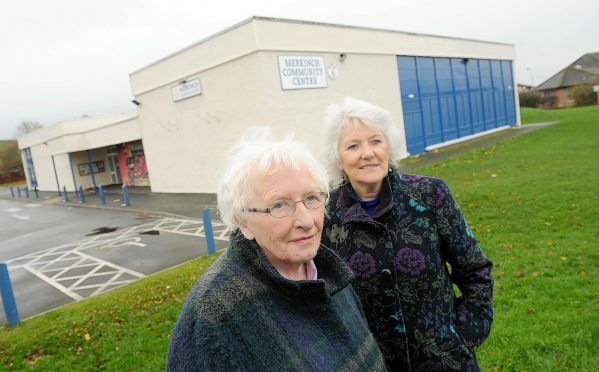 Highland Council is rushing proposals for a new community centre in one of its most deprived areas with no consideration for its most vulnerable people, it was claimed last night. Some residents said they were “shocked” as they raised concerns about the impact of bulldozing a cherished facility used weekly by hundreds of people. The council and its “High Life Highland” leisure agency aims to improve facilities at Merkinch in central Inverness by bringing children’s and family services under one roof. But the lack of a public meeting to discuss it before applying for Scottish Government funding has irked community leaders. Anne McCreadie, a community council member and chairwoman of the community centre’s management committee, said: “It’s been a total shock. We’ve got a vibrant, busy community centre here that sees more than 500 people weekly. Why take down something that’s working? “We’ve no problem with a new build for the family centre, we accept that. We’ve no problem with a leisure centre in Merkinch, but not on this site. People are horrified, they’re in a state of disbelief. “You can’t create this in a brand new hub. It takes years to create atmosphere and it’s the centre of a local community. The centre, which has been extensively refurbished in recent years, is leased from the council. Highland Council has sought a £2million grant for its latest ambition, but only discussed the idea with a small number of centre staff and community councillors. It has now promised to consult centre users. The new facilities would include a cafe and “services for children and families to be more accessible by being brought together on one site”. A games hall, library, dance and exercise room, changing facilities and exercise suite could also feature. According to the council, it would mean “enhanced facilities and a wide range of family support services for Merkinch” and meet a growing demand for childcare.